Shawn Lent, Arts Integration Program Specialist and Alumnus of Columbia College Chicago, has been awarded a Fulbright Scholar grant to lecture at the Academy of Arts’ High Institute of Ballet in Cairo, Egypt during the 2012-2013 academic year, the United States Department of State and the J. William Fulbright Foreign Scholarship Board announced recently. Lent will lead a project titled Artist as Catalyst, where she will teach dance classes and lecture on community arts theory and the role of artists in civil society and education. Lent is one of approximately 1,100 U.S. faculty and professionals who will travel abroad through the Fulbright U.S. Scholar Program in 2012-2013. The Fulbright Program is the flagship international educational exchange program sponsored by the U.S. government and is designed to increase mutual understanding between the people of the United States and the people of other countries. The primary source of funding for the Fulbright Program is an annual appropriation made by the U.S. Congress to the U.S. Department of State, Bureau of Educational and Cultural Affairs. Participating governments and host institutions, corporations and foundations in foreign countries and in the United States also provide direct and indirect support. Recipients of Fulbright grants are selected on the basis of academic or professional achievement, as well as demonstrated leadership potential in their fields. The Program operates in over 155 countries worldwide. Since its establishment in 1946 under legislation introduced by the late U.S. Senator J. William Fulbright of Arkansas, the Fulbright Program has given approximately 300,000 students, scholars, teachers, artists, and scientists the opportunity to study, teach and conduct research, exchange ideas and contribute to finding solutions to shared international concerns. Fulbright alumni have achieved distinction in government, science, the arts, business, philanthropy, education, and athletics. Forty Fulbright alumni from 11 countries have been awarded the Nobel Prize, and 75 alumni have received Pulitzer Prizes. Prominent Fulbright alumni include: Muhammad Yunus, Founder, Grameen Bank, and 2006 Nobel Peace Prize recipient; John Atta Mills, President of Ghana; Lee Evans, Olympic Gold Medalist; Ruth Simmons, President, Brown University; Riccardo Giacconi, Physicist and 2002 Nobel Laureate; Amar Gopal Bose, Chairman and Founder, Bose Corporation; Renee Fleming, soprano; Jonathan Franzen, Writer; and Daniel Libeskind, Architect. Fulbright recipients are among more than 40,000 individuals participating in U.S. Department of State exchange programs each year. For more than sixty years, the Bureau of Educational and Cultural Affairs has funded and supported programs that seek to promote mutual understanding and respect between the people of the United States and the people of other countries. The Fulbright U.S. Scholar Program is administered by the Council for International Exchange of Scholars, a division of the Institute of International Education. 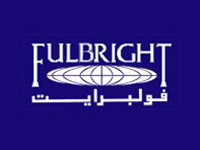 For further information about the Fulbright Program or the U.S. Department of State’s Bureau of Educational and Cultural Affairs, please visit our website at http://fulbright.state.gov or contact James A. Lawrence, Office of Academic Exchange Programs, telephone 202-632-3241 or e-mail [email protected]. Which International Exchange Programs Are Looking for You?